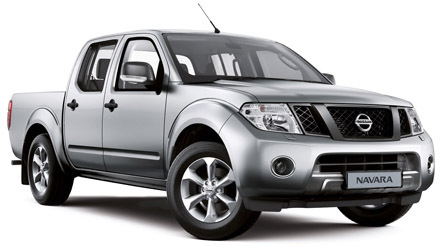 A fantastic combination of pure power and dignified design, the Navara is known as the pick-up with the performance. Whether you use it for business or leisure it’s going to fit your lifestyle perfectly. With the tax benefits as a pick-up truck, combined with excellent handling and a spacious large load bay, you’ll have to try very hard to think of a downside to this feat of engineering. All models have driver and passenger airbags, ABS brakes with EBD and Brake Assist. On top of this they feature central locking, alarm, immobiliser and locking rear tailgate to keep your pick-up safe and sound. The cargo capacity of the Navara has some fantastic reviews. With minimal rear wheel arch intrusion all models offer great capacity. A variety of extras can be added to increase practicality of the Navara if needs be, including lockable chests, hard-tops and even a two-man tent. The cabin of the Nissan Navara places durability before styling, but despite this it has one of the most handsome interiors in this class of pick-ups. You will find standard Nissan features such as the square-spoked steering wheel coupled with new instrumentation all clearly labelled. In the cabin, you will be surprised at how quiet the ride is, especially for a fast truck, but this isn’t the only quality that makes the Nissan Navara comfortable. In the back there are two folding jump seats with seatbelts giving you the option to have more passengers or more room to carry items. Got a Nissan Navara to sell?